If you believe that you have what it takes to represent defendants who have been charged with criminal activity, you may want to become a defense attorney. It takes several years to study law and to pass the bar, but once you hold the title, you will certainly feel like you have moved mountains. For those who are willing to commit their time in school and then out of school as they build their practice, law can be a fulfilling field that pays extraordinarily well. Where there is criminal activity there will always be a need for defense attorneys. Read this guide to determine the steps you will need to take to practice criminal law. The very first stop on the pathway to becoming a criminal defense lawyer will be to complete your undergraduate education at a four-year college or university. You can either study at an accredited school and major in a relevant subject area of your choice, or you can choose a pre-law degree program with special curriculum that is just for students who plan on becoming lawyers. If you do not take a pre-law program, you will need to choose your major. Some of your options will be history, economics, government, sociology and public relations. It is important that you perform well while you are studying for your Bachelor’s degree. This is important because you will need to show that you have what it takes to finish curriculum and to commit to higher education. Not just anyone can gain entry into law school. Before you can study to practice law, you need to should admissions councils that you are competent and that you can comprehend the curriculum that you are required to take. All American law schools require their applicants to submit an LSAT score with their applications, according to the Law School Admission Council. This standardized test is the best tool to measure if students have the reading, verbal, and reasoning skills a law student needs. Be sure you check the test deadlines and dates before you submit your application to any schools. 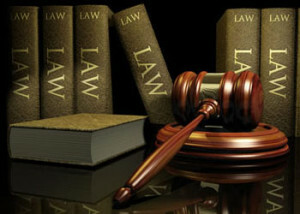 Once you are granted admission into a law school, you will study for 3 years on a full-time basis. You must take all of the core law courses, but will need to select the appropriate specialization courses so that you get the knowledge you need to work in the field. Some of the specialized courses you will take include criminal law, evidence, litigation strategies, ethics and more. You must get practical experience while you are still in school. This is why you should complete an internship while in school where you can learn what a defense lawyer does firsthand. Once you pass the courses and exams, you will earn your Juris Doctor (JD) degree. You cannot practice law with just your JD degree. After this, you must take the state bar exam before you can practice. According to the American Bar Association, you must apply for admission into the exam with your state board of bar examiners. This board will review your qualifications and then grant you the opportunity to test. Once you pass the bar, you can practice any area of law. You may want to work with a law firm or for a public agency to get experience as a defense attorney. Once you have experience, you can branch out and take advantage of new opportunities. If you have the time to become a defense attorney and you want to commit to it, this could be a very fulfilling choice that can redirect your future.